As Gas Safe heating engineers, we offer a wide range of services for boilers and central heating systems as well as gas appliances. In addition we undertake gas safety checks for landlords and smart thermostat installation. A true electric radiator and electric heating specialist. Why go for electric radiators? Electric radiators mean no boiler or pipework, so installation costs are slashed, no maintenance is required and with highly targeted, controllable heat, when and where it's wanted, energy is used intelligently and efficiently. Electricity is the cleaner fuel and is being generated increasingly by renewable energy sources. All our electric heaters are designed to naturally radiate and/or convect heat, so no noisy convection fans. Upgrade any of our electric radiators to form an electric central heating system. Any of our electric radiator models can be wirelessly linked to other electric radiators to create a complete, centrally controlled, electric central heating system, using innovative smart controls. Our electric radiator systems offer an innovative and stylish replacement for night storage heaters. They can also be used as independent heaters for instance in a conservatory. How efficient are they? All our electric radiators are 100% efficient. The key to minimising energy usage and electricity costs you incur is down to "controllability". By using a timer and temperature controls and creating heating zones you can ensure that the heating is only on when and where you need it to be, making the most efficient use of power. Wide range of designs, sizes and finishes available Our contemporary electric radiator models range from ultra-minimal, flat panel designs to the ultimate in electric feature radiators. Finishes include white, a wide range of colours, glass, mirror, stainless steel, stone and even wood. Our wide range means there is something to suit all budgets. Our traditional electric radiator designs include column, school and ornate models made of cast iron, steel or even aluminium. 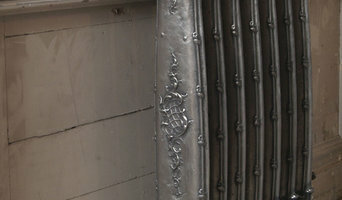 Finishes include polished cast iron and a wide range of paints including traditional metallic and Farrow & Ball paints. Electric-radiators.uk provide stylish electric radiators and centrally controlled electric heating that doesn't cost the Earth. Call our team on 01274 567789 for expert advice. Founded as a family business in 1980, MHS Radiators has been a respected and trusted company for three generations. Today, it is still owned and operated by the same families, who have the knowledge, passion and enthusiasm for practical yet exciting radiator designs capable of transforming any interior. The Retail Collection offers the latest radiators in an extensive range of styles, colours and finishes. Antrax IT from MHS is an exclusive partnership that offers a stunning range of architecturally inspired radiators and towel rails. 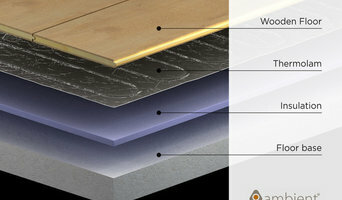 Allbrite UK Ltd are an award winning underfloor heating and specialist renewable Energy Company based in North Wales. In 2013 we were delighted to have won the Flintshire Business Week Environment Green Award. Established in 2001 initially supplying flooring and Underfloor Heating, we quickly expanded our portfolio of products to include many renewable energy solutions such as Solar PV, Air Source Heat Pumps, Biomass Boilers and Solar Thermal Hot Water. The fact that we are a contract flooring company helps when installing underfloor heating under different flooring types. We are an MCS certified company and so we are qualified to install and commission renewable energy technologies including Solar PV, Solar Thermal, Biomass and Air Source Heat Pumps. In order for you to qualify for government payments for any of these technologies your system must have been installed by an MCS company such as Allbrite UK Ltd.
Purely Electrique is a leading UK supplier of quality electric underfloor heating, we offer systems suitable for use under all types of flooring such as wood, carpet, tiles, Amtico and Karndean. We also supply designer glass plate remote and touch control light switches, plug sockets, touch control thermostats and radiant infrared radiators. All our products are supplied at very competitive prices and with full quality guarantees. Our vision is to provide you, the customer, with the ultimate in warmth, comfort and wellbeing. Argent and Mesh Mat systems are engineered in Germany and specifically designed and created to meet the precise needs of homeowners, specifiers and contractors in the UK. 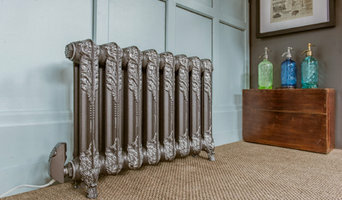 We provide beautiful cast iron radiators, cast iron baths and accessories from brands such as Arroll, Carron and Paladin. We are a small family run business who provide a personally, friendly approach. Home Heating Limited are engineers in gas, oil and electrical with 30 plus years experience. We are Gas Safe and OFTEC registered and all our engineers can offer clients expert and professional help. Whether you need a Gas Safety certificate, heating repairs or boiler installations we can help you. We are a family heating business based in Palmers Green North London and specialise in boiler installation, boiler repair, servicing and installation of green renewable technologies such as solar and heat pumps. Access Heating and Plumbing has been providing heating and boiler installation,servicing and repairs in the Epping, North Weald, Loughton, Chigwell and Theydon Bois community for over 20 years. We aim to give all our customers a local, friendly and professional service and over the years we have built a large satisfied client base. 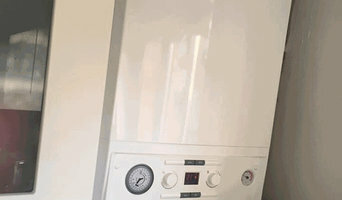 We are Gas Safe registered and fully insured for your peace of mind and offer a full emergency and breakdown service.